Clément Paradis was born something like 3 decades ago. It's not easy to sum up his short career because he did a lot of things with very little care for coherence. Let's say he is a kind of polygrapher, writing mainly with light (which means he's a photographer, if you follow me) and with letters (which means he's an oldschool writer sometimes). 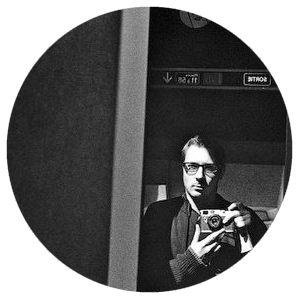 He also works as a translator for other photographers such as Anders Petersen, Thomas Vanden Driessche or Stanley Greene, as he thinks photographers have a lot to say about our times. He's also the founder of Timeshow Magazine, in which he published various series of photographs, and of Timeshow Press, which means he's probably writing this biography at the third person, and that is lame.